Chinese state media have been rebuffed by Apple after they claimed the iPhone could breach national security and put state secrets at risk of unauthorized access. The controversy stems from the frequent locations feature of iOS 7, which stores data of where the iPhone has travelled internally. A critic told China’s Central Television that this puts privacy at risk, and even national security. Apple have emphatically stated that while location data is stored on the device, this is not accessible to anybody else. Apple say they themselves do not have a backdoor to the data and reminded users that the feature can easily be switched off. They did concede that they have a database of Wi-Fi hotspots and cell towers, but this is neither the location of the device or linked directly to the device. This data is stored to help iPhones rapidly and accurately calculate their location when requested by the user. In theory then the only way somebody could access your location from the internal data would be by stealing the device. Despite being one of the countries that helps manufacture the iPhone, China and Apple have ongoing tension. It is not an unpopular opinion among upper-class citizens to view the iPhone company in a negative light. A lot of this stems from Apple’s warranty policies in China that are different from most other countries. Negative coverage of this by the media forced the corporation to officially apologize. In the midst of the controversy last Summer, Peng Liyuan (the wife of the current leader) was singled out in the press for using an iPhone on a visit to Mexico. 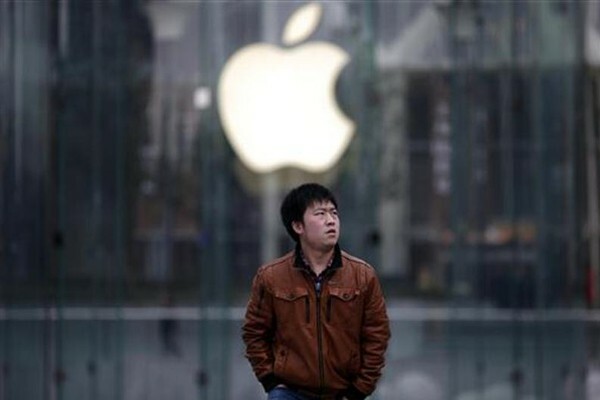 Though there has never been any official connections brought to light, segments of Chinese society lump Apple in with some of the “technology companies” NSA whistleblower Edward Snowden alleged were working with the US Government to mine data. At times Apple representatives have actually praised the actions of Snowden, but the “Snowden Effect” is still giving them negative PR in China. Whether it’s paranoia, lobbying for state produced technology, or genuine concern, China seem to be slowly moving away from US technology. Windows 8 for example is currently banned from being used by state agencies. There are no doubts that both iOS and Android devices share their location data with host company, and let them monitor the real-time location of the device. China and any other country can easily react on this.